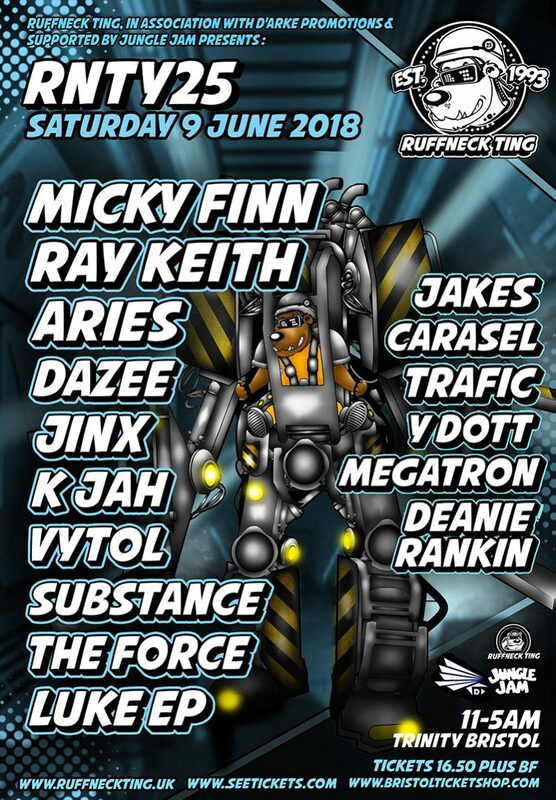 Ruffneck Ting returns to its spiritual home at the Trinity Centre in Bristol on June 9. The scene of some of our most epic jungle / drum & bass parties in the 90s, it promises to be a not-to-miss event. 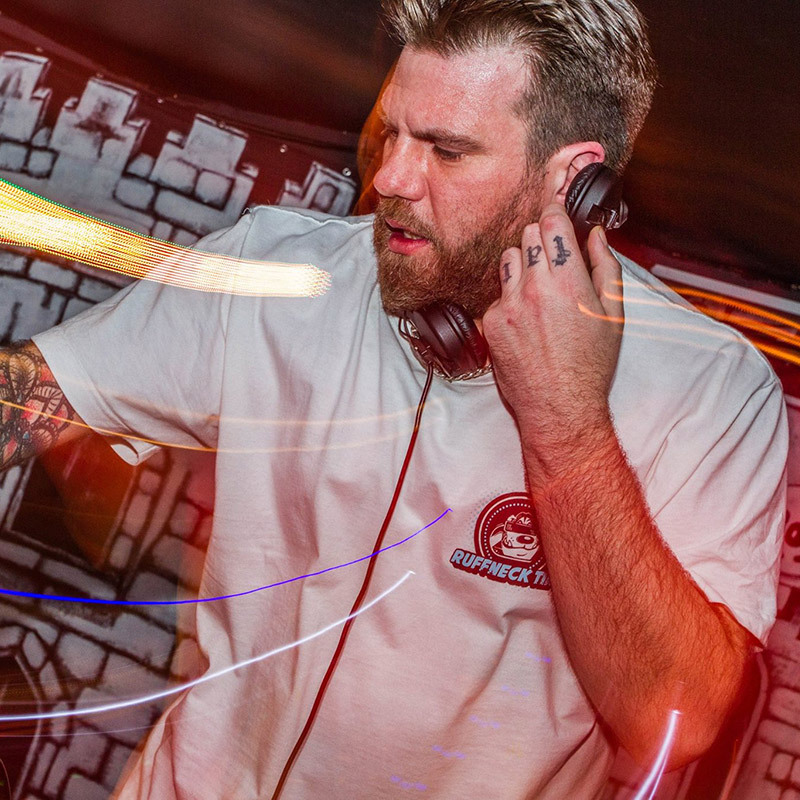 We begin our series of interviews with artists on the line-up with Ruffneck Ting resident Jinx, who also provides us with a guest mix. Where are you from and to what extent would you say this influences your music? I’m originally from Stourbridge but I’ve lived in Birmingham the past 14 years, I’d say living the city gives me a touch of the Birmingham sound definitely. How would you describe your approach to music? It depends sometimes I start with a sample that I like from either a movie or some random tune that I have sampled from and try to work around that, sometimes it’s just getting a good break running then I just work around the drums it. Depends on my mood really. How did you get involved with Ruffneck Ting? I’ve been lucky enough to be involved since the relaunch in 2013. I met Dazee while we were playing at a festival called Shambala in 2012 and then we met again in January 2013 and started writing music together and later that year she relaunched Ruffneck Ting. What are you most looking forward to about playing at Ruffneck Ting on June 9? I feel very honoured to be part of such a massive night. I was too young to go to their nights back in the 90s so to be playing at the birthplace of Ruffneck Ting is a big thing for me. Where else can people see you play in the near future? What’s the best set you’ve ever heard? Mickey Finn & MC Bassman, Amazon 95 as it was one of the first tape packs I bought. I also love DJ Calibre and MCs Bassman, Spyda & Trigga (Return Of The Que Club Mix). What’s the best gig you played in the last six months? It’s got to be the Ruffneck Ting event at the Attic in Bristol in January. It was a wicked crowd and vibing from doors opening and seeing all the new, as well as familiar faces, in the place. What’s the most memorable crowd you’ve played to? Ha-ha, this random fetish party I was booked for. I didn’t stay much longer after my set. Who would be playing at your ideal night out? Calibre, Randall, Heist, Dazee, Jinx, K Jah b2b Vytol, Verdikt b2b Too Greezy. What are your top three tracks right now? Dazee & Substance – Rude Girls (Coda Remix), Jinx – Beat Box (Bass Antics Remix) and DJ Limited – Listen Dis. Got any releases coming on Ruffneck Ting you can tell us about? Currently, I’m working with The Force; we have a few tunes we are working on and I have a few tunes on the forthcoming Xtraordinary League of Junglists 2 with The Force, Aries and Habitat. Also, an EP will be dropping soon from myself. I’ve got an EP dropping very soon on Calypso and I’m also working on EPs for Co-Lab and my own label Straight Up Audio. Your last album Stand Up album came out on Ruffneck Ting in 2015, any plans for a new LP soon? I’d like to work on a LP but with lots of different styles of music that I also produce and make it more of an experimental type album. What’s the next challenge for you? My next big challenge is my own label that I mentioned earlier, Straight Up Audio. The first release will be dropping soon featuring my own tracks plus a collab with Dazee. Who’s your all-time hero & why? My dad and my mum for putting up with me when I was a kid. What’s the best piece of equipment you’ve ever used and why? I’m a massive fan of Kontakt as I’m always learning new things to do on it. Having experienced the twists in trends and many changes of drum & bass over the years what do you think of the scene and the music right now? I think it’s very exciting – lots of new people and sounds coming through, the scene is very healthy. Lots of my own forthcoming tracks plus bits I like on the labels I mentioned – I think it’s got good energy to it, hope you like it! What do you get up to outside of music? That I appreciate everyone’s support over the years, thank you all very much for keeping me motivated doing this thing.